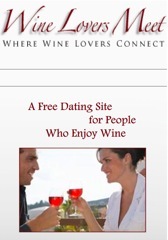 WineLoversMeet.com is committed to bringing wine enthusiasts together in a safe and fun environment. Appealing to wine fanatics from newbies to connoisseurs, WineLoversMeet.com has claimed its stake as the #1 online wine community on the Internet, gaining membership from all over the world. With online dating becoming more socially acceptable these days, the Internet has become flooded with different ways to meet a potential intimate partner.